At the Thomas Jefferson School Science Fair earlier this week, students had the opportunity to make their own “Gak” – or polymer made from Elmer’s glue and Borax. It’s fun to play with for a while, until it ends up stuck to the car floor or buried at the bottom of a backpack. 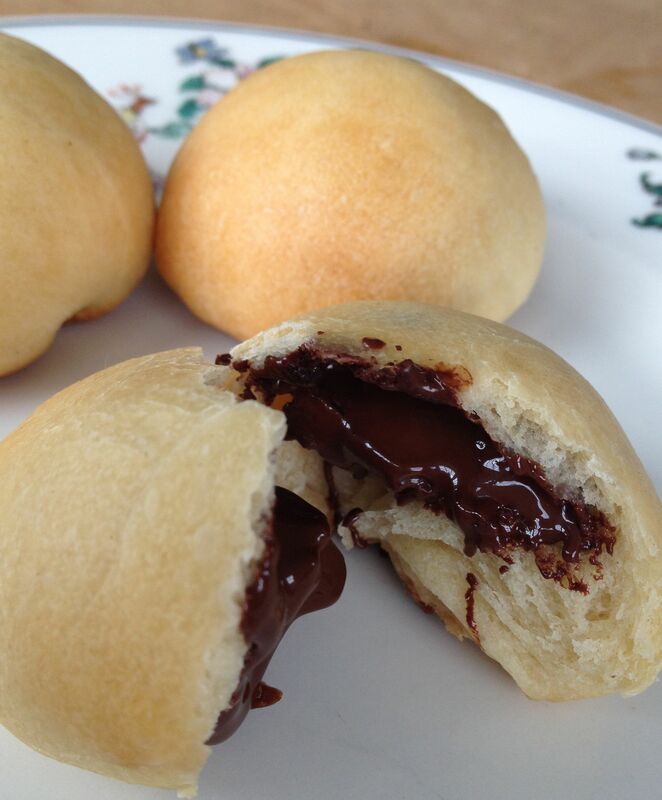 At least with homemade bread dough and these magic chocolate buns, you get to play with your dough and eat it, too. 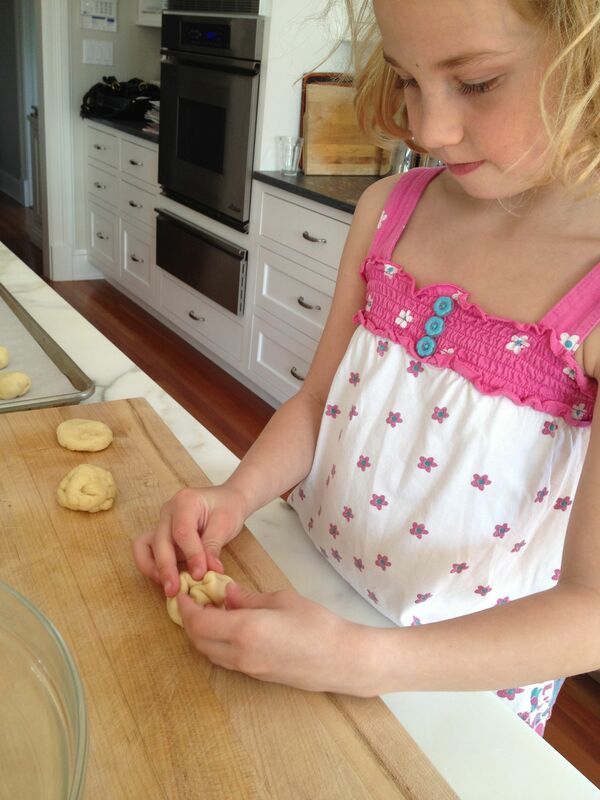 For a fun activity and tasty snack all in one, kids can help form the dough balls and stuff them with chocolate chips. 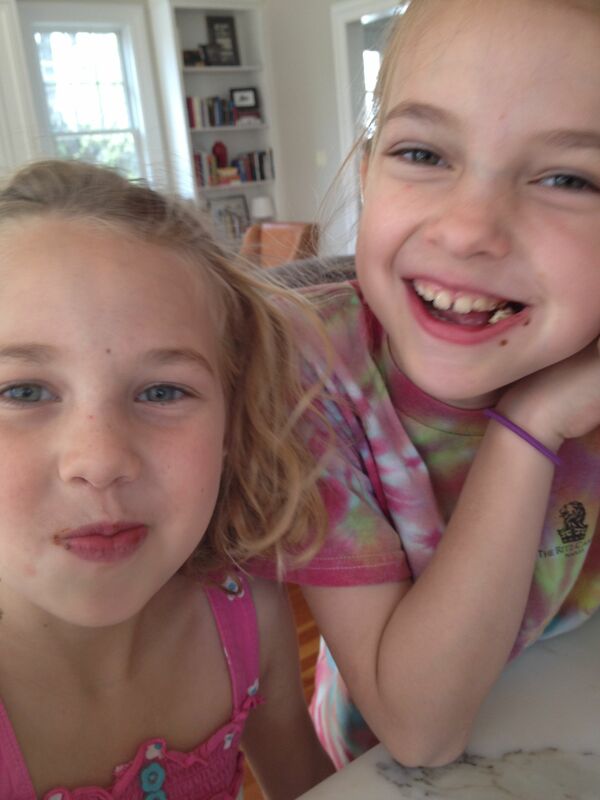 (Easy enough for a 7-year-old – see below.) Or for a special breakfast or brunch item, you could make the dough and form the buns the night before; in the morning, just bake for 20 minutes and serve hot and oozy. 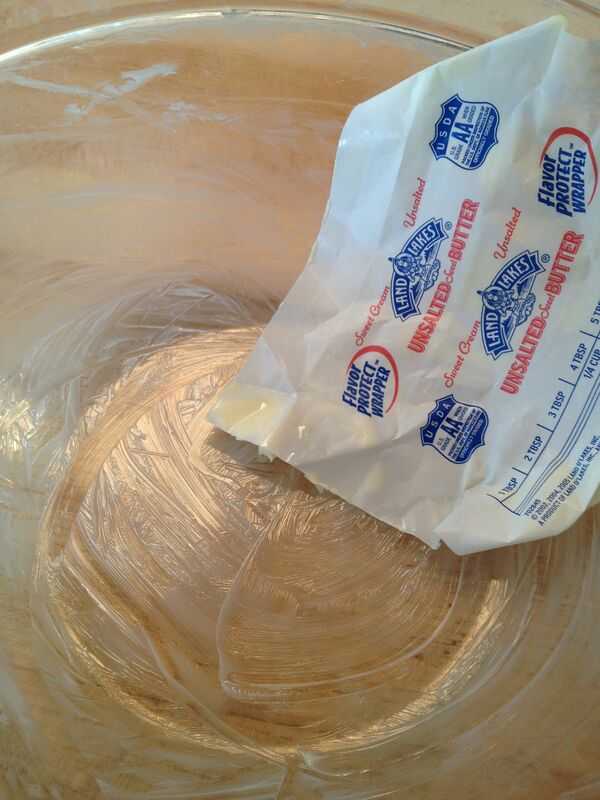 Lightly grease a large bowl (I use the butter wrapper); set aside. In a microwaveable measuring cup, heat water and milk for 45 seconds. 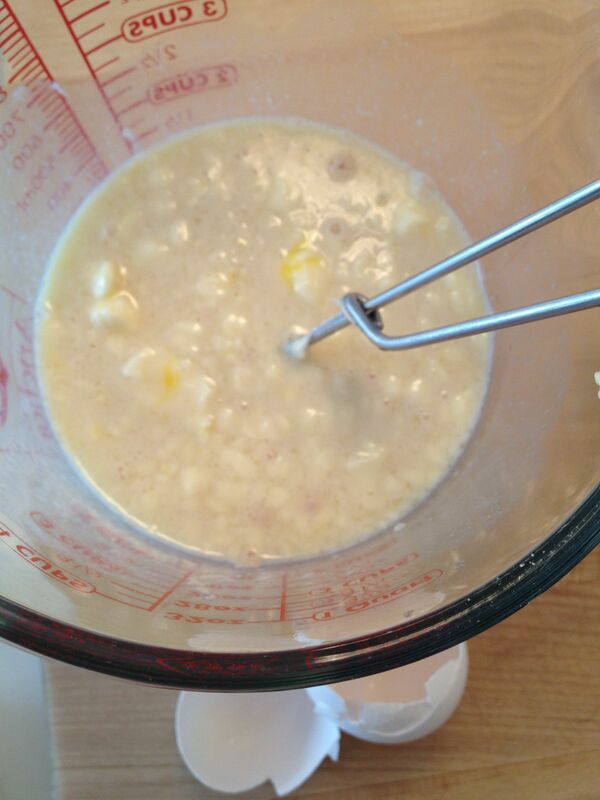 Stir in yeast and butter (it can be lumpy); then add the egg and mix. 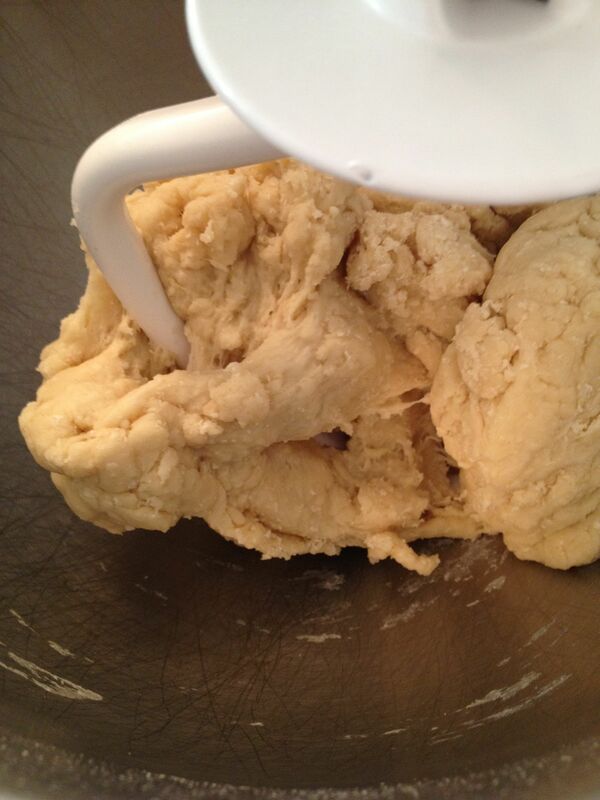 Add sugar, salt and flour to bowl of an electric mixer, fitted with a dough hook. 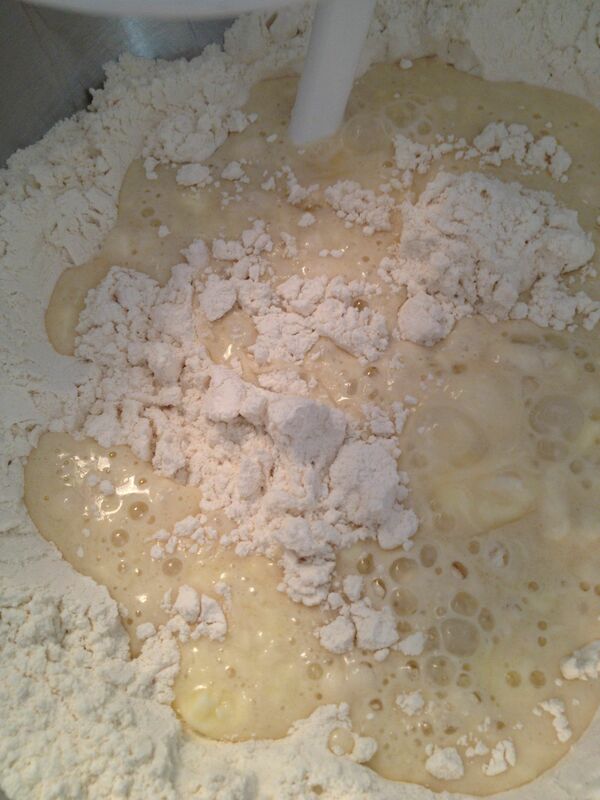 Pour in yeast/milk/egg mixture and turn on lowest setting. Once incorporated, increase speed slightly and let the machine mix/knead dough for 6-8 minutes. 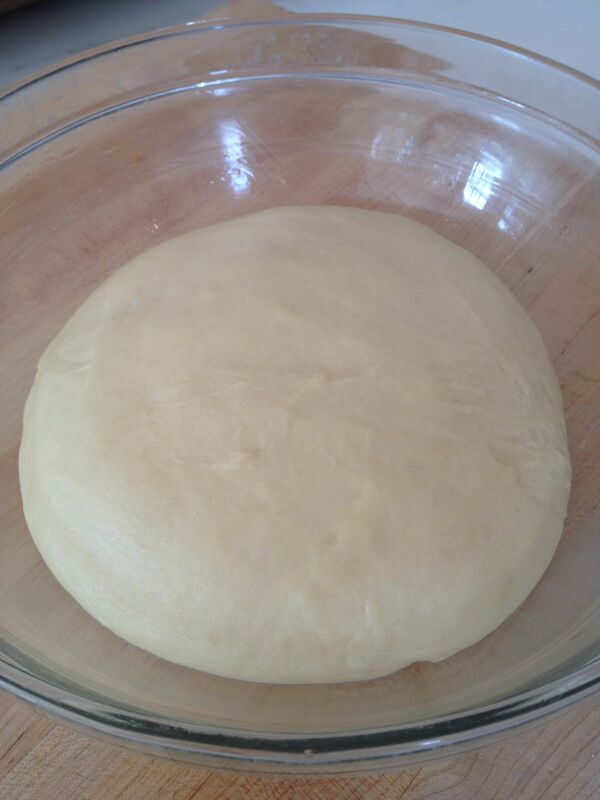 Dough should feel smooth and springy. (“Like a baby’s bottom, ” my grandmother used to say.) 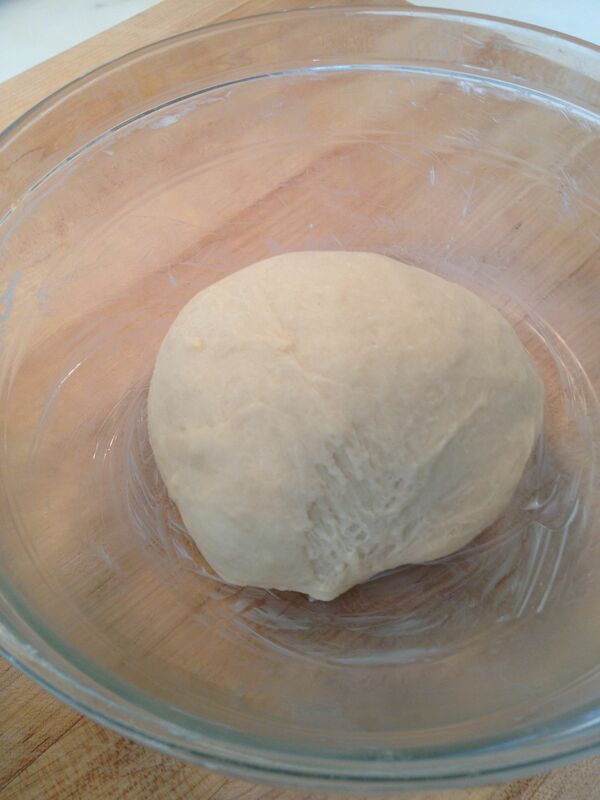 Form dough into a ball and place in the greased bowl. Cover with plastic wrap and set in a warm location to rise until doubled in size (1-2 hours). 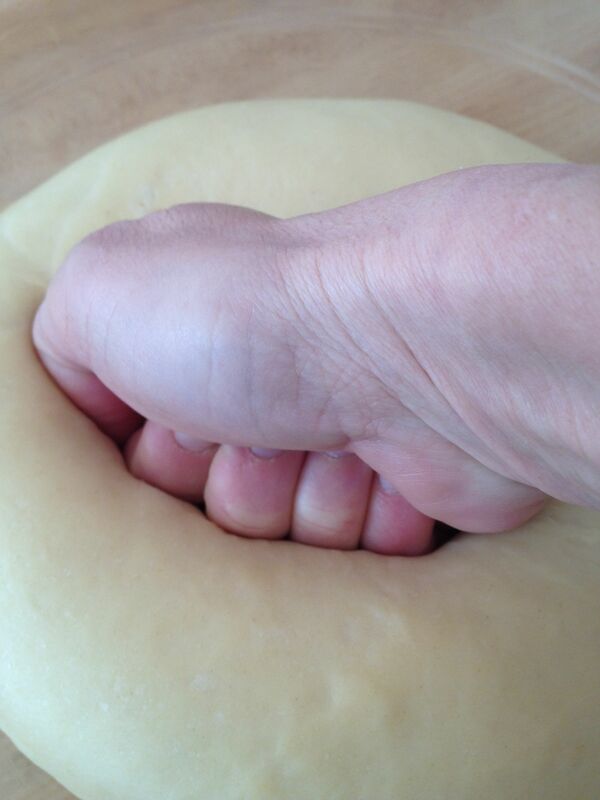 Give dough a good punch. 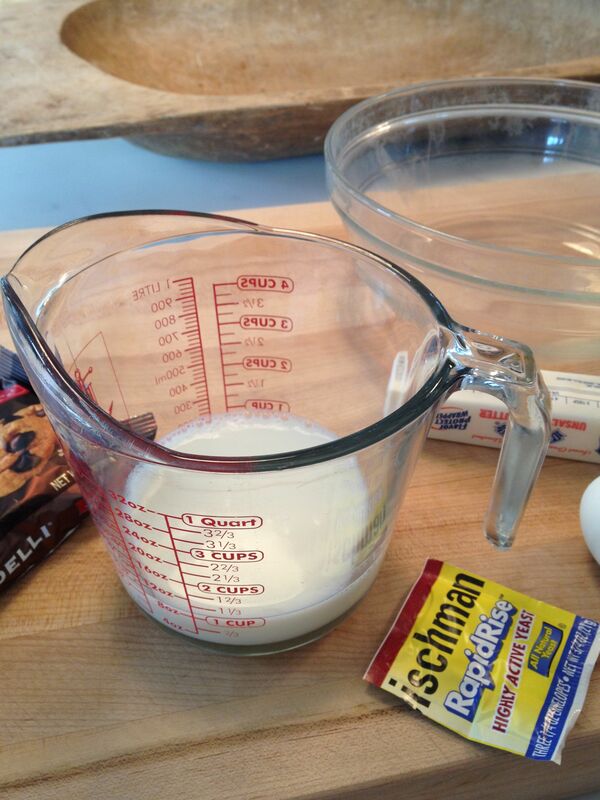 Dump all ingredients into the mixing bowl/loaf pan of a bread machine. Set machine to Dough mode and come back when it beeps. (About 90 minutes.) 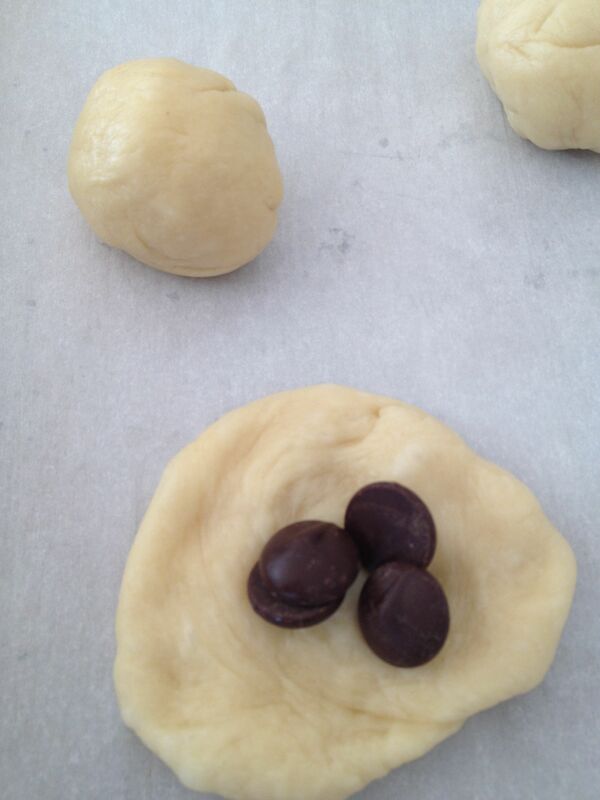 Punch down dough and proceed with Chocolate Buns recipe. Heat oven to 375ºF (or 350º for convection). 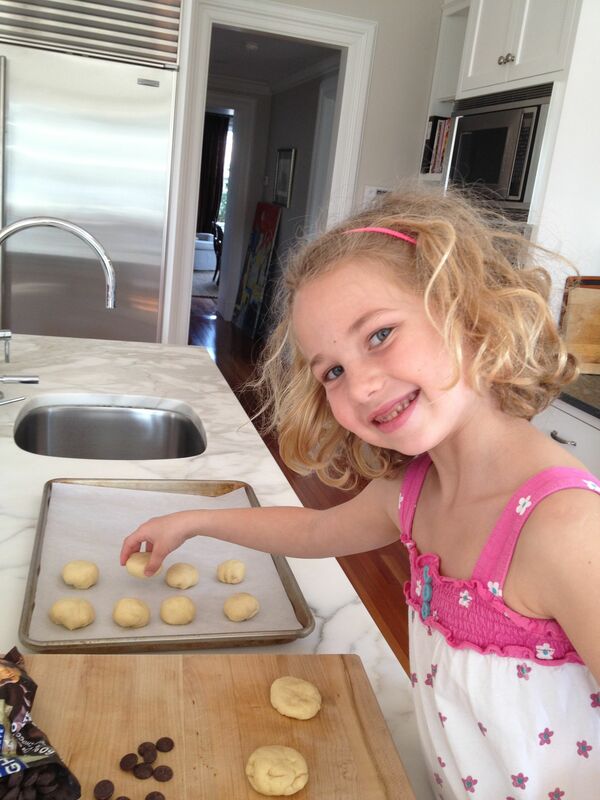 Line two baking sheets with parchment paper. 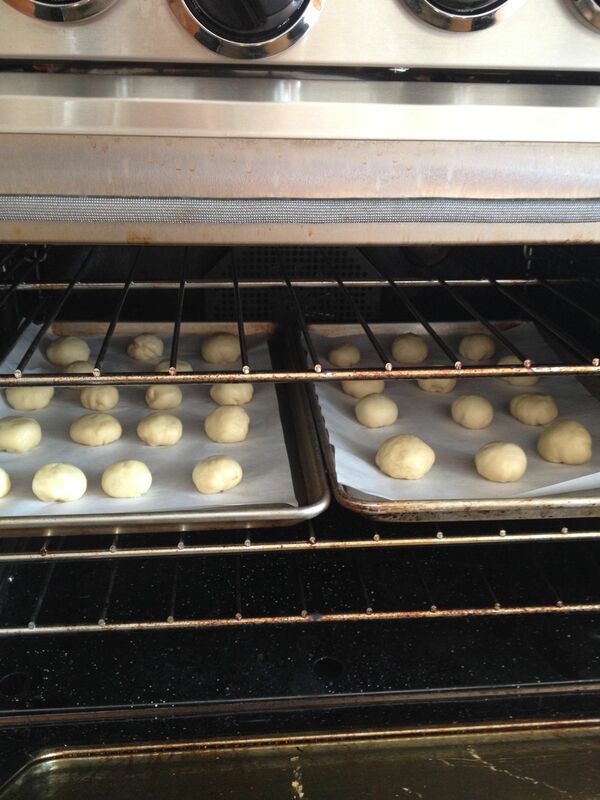 Pull off pieces of dough and form into little balls, between walnut and golf ball size. (You should get 28-30 balls in total.) Flatten the balls into silver dollar size pancakes (the old silver dollars, not the confusing quarter-sized ones). 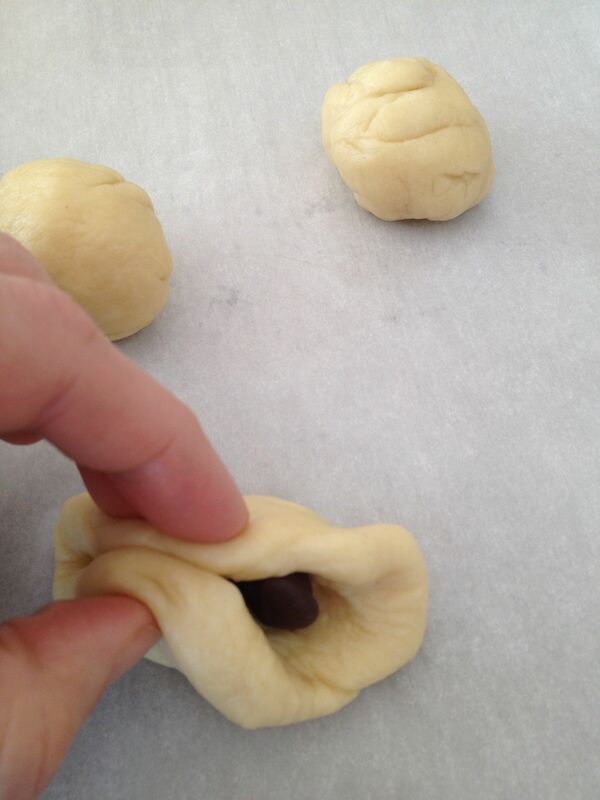 Place 4-5 chocolate chips in the center of the dough circles, then pull up the sides of the dough and pinch to seal. 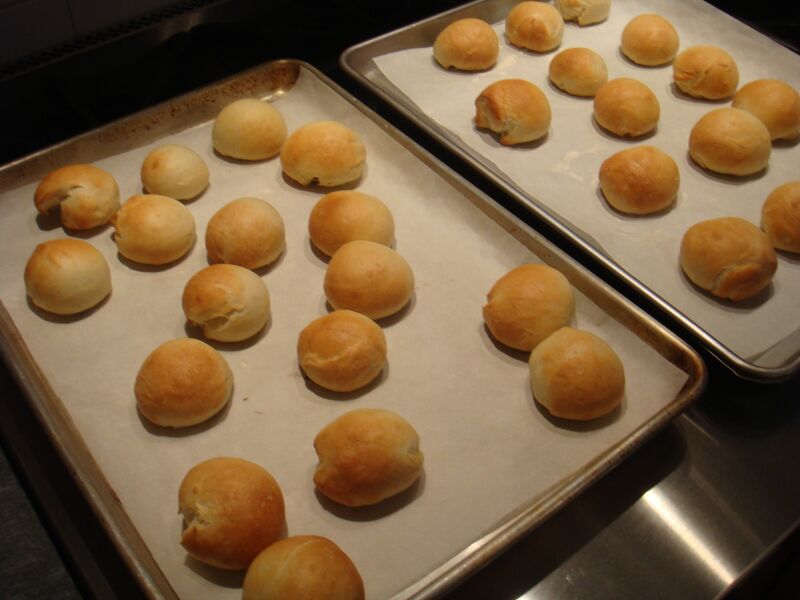 Place balls pinched-side down on the baking sheets. Place baking sheets in oven. Bake for 8-10 minutes and then rotate baking sheets for even baking. Bake an additional 8-10 minutes or until buns are golden brown. Eat right away for an oozy chocolate surprise. 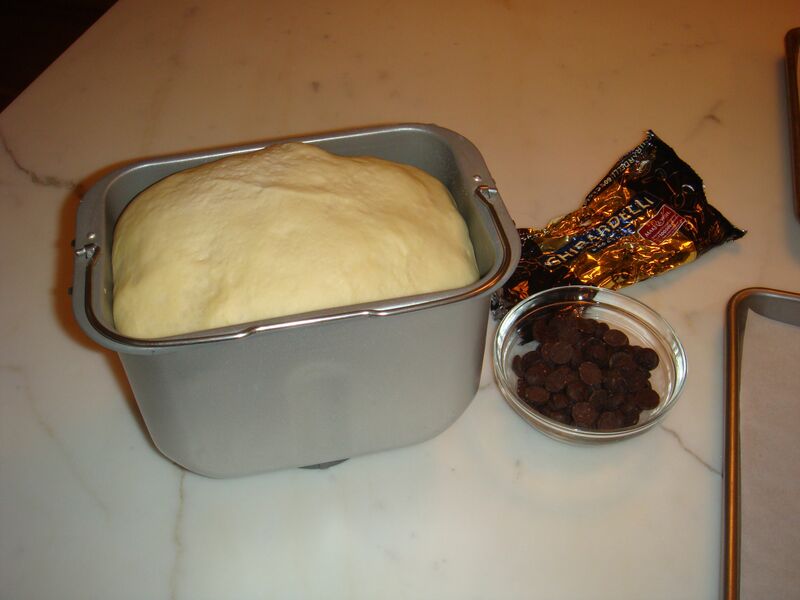 To serve later, reheat in a low oven (or microwave for 10 – 13 seconds, but the dough will be chewier than if heated in an oven). 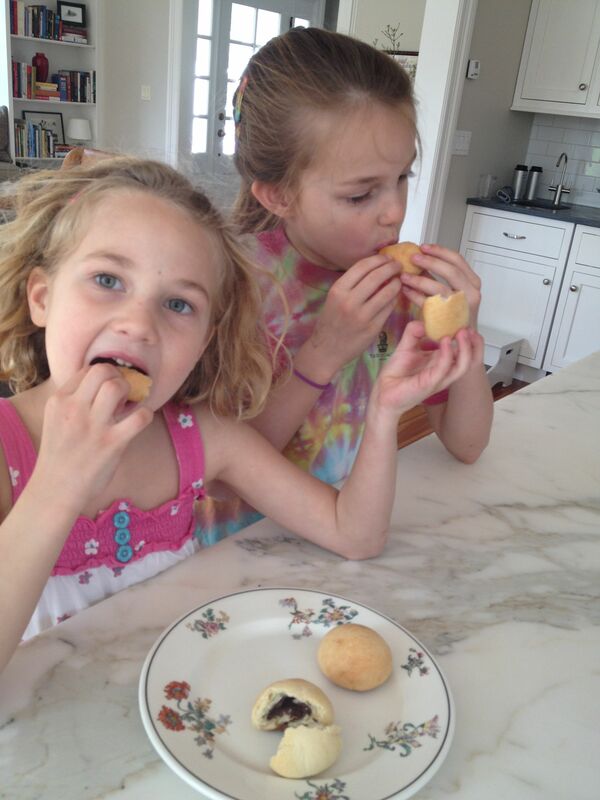 This entry was posted in Breads, Breakfast, Desserts, Snacks and tagged bread, bread dough, brunch ideas, chocolate, chocolate buns, homemade bread by subeeskitchen. Bookmark the permalink.